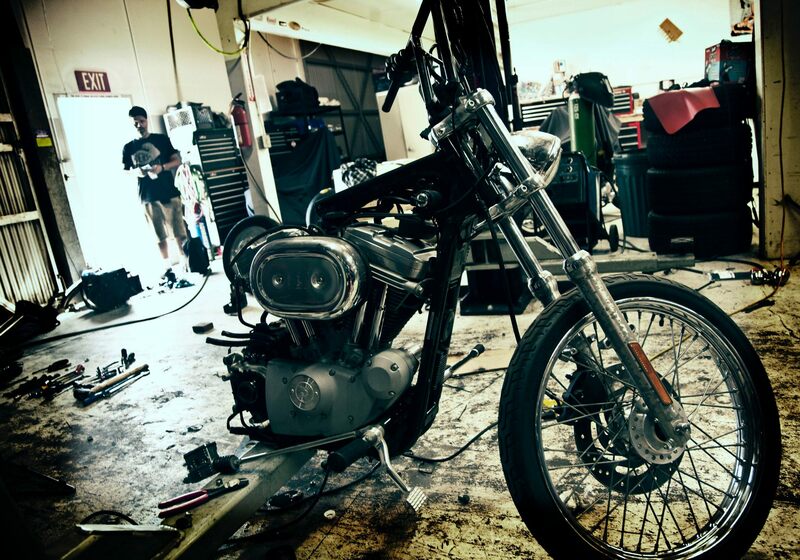 Hardtail Sportsters makes a nice little bobber, chopper, race, rat or whatever. You will get a unique, more fun-to-ride, and better looking bike. 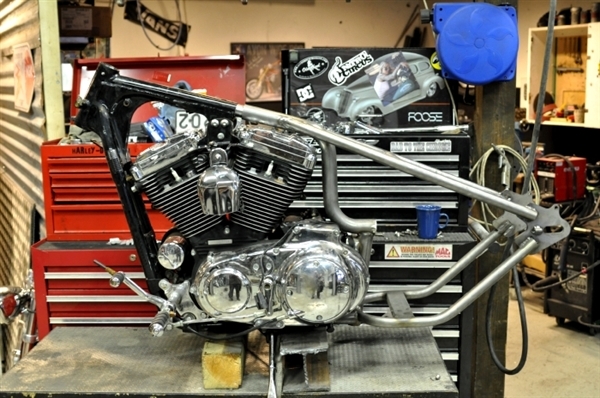 Softail hardtail is also possible for about the same cost as for he Sportster Hardtail. If you are considering a hardtail for your Big Twin the Softail frame makes a better donor bike than for example the Dyna models. Price starts at 60-70 000 SEK. Buy the frame and the parts you need. Let us do the dirty work. The Cutting, the welding and the grinding to make you a roller for you to complete. Get in touch for quoatation. One of three bikes we built on location in Los Angels then rode 6000 km to Key West, Florida. See the movie here.